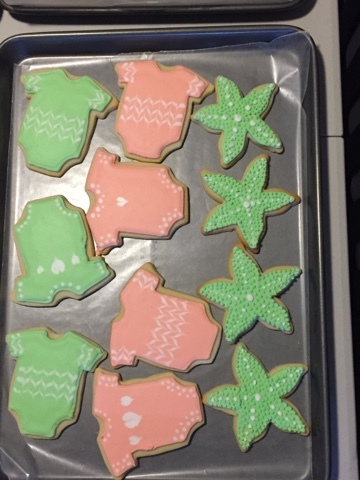 I haven't posted cookies in a long time and have many many older cookies to post, but people have been asking so I thought I'd get these recent cookies up. 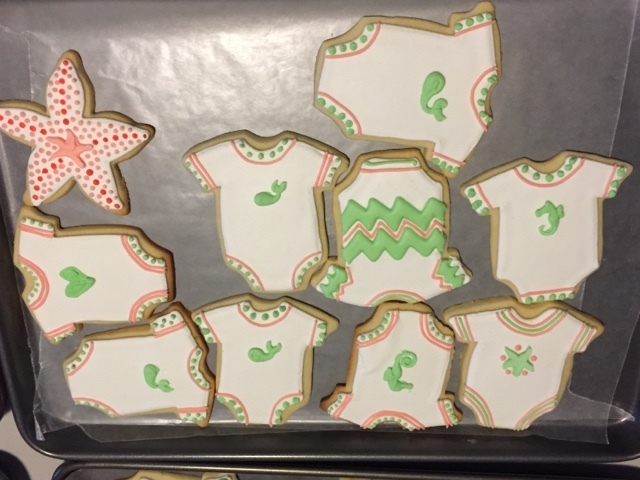 These are for my friend Kim's "California Baby" baby shower. My good friend Cara came to decorate with me (she's been asking for a while) and we tried a few new things. I love them and so did everyone else! Julian had his 9th birthday party, and they had a video game truck come for the kids. Naturally, Cori asked if I could make cookies. 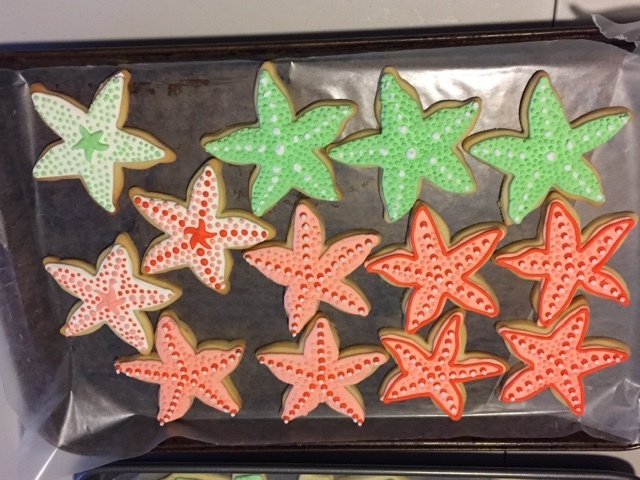 Each cookie is about 4". Jaime and Nick are having a baby girl! 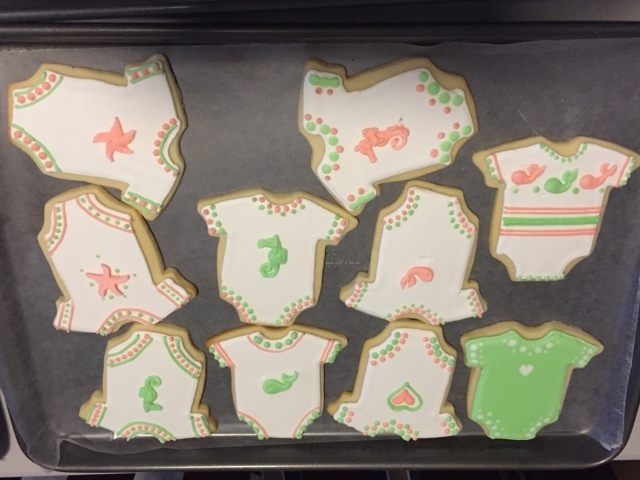 I was happy to make cookies for my beautiful friend for her baby shower. 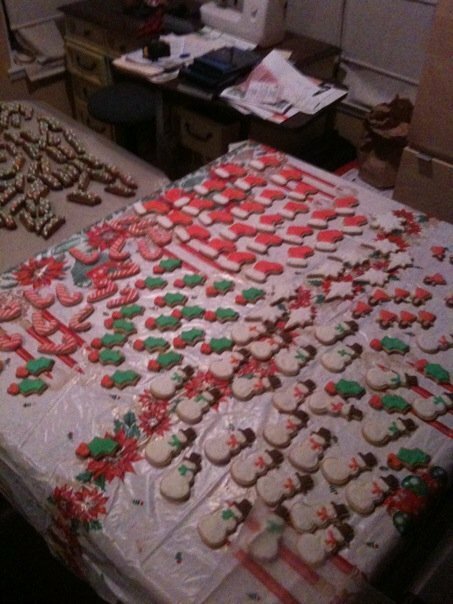 Christmas 2010 I baked a LOT of cookies. As per usual, I prepare boxes for co-workers, family and friends with cookies. 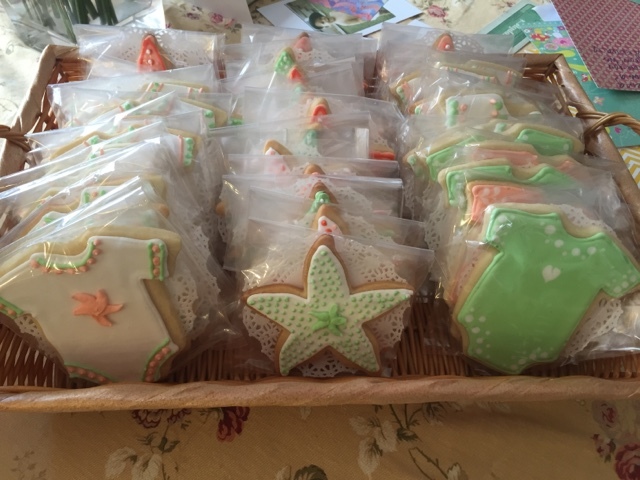 These decorated butter cookies are just some of the cookies they get. Thanks again to Cara for capturing the detail in such an awesome way! 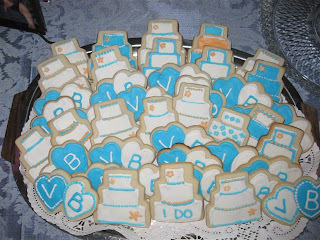 I made these for a High School Graduation party. I can make the caps with any color combination. Its Easter! Here are some easter cookies from April 2010! The Quarter is to give you an idea of the size of the cookie.